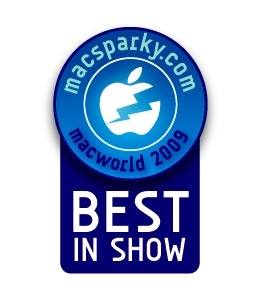 Having spent three days exploring the halls and conference rooms of Macworld, it is time for the Macsparky Macworld 2009 Best in Show Awards. It works with and syncs out of the iCal database so it will cause no problems with your MobileMe sync. It will retail for $40. Keep your eyes posted for this one. 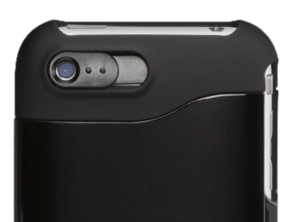 This case actually fixes the iPhone camera with a sliding lens. With it you can take pictures of documents, business cards, and menus that are actually in focus. This makes mobile Evernote much better. Although most Macs have a built in camera, this wireless bluetooth camera releases you from the fixed position and works to about 10 feet. It charges from a mini-USB cable. While Screenflow has been on the market some time, it is new since last year and certainly deserves a “Best in Show” award. This paradigm shifting screencasting application changed the game for all screencasters. G-Technology, the same folks that made a portable hard drive that still worked after being run over by a truck, have come up with a Raid-0 solid state drive drive that screams. Data transfer rates top 60MB/sec write and 75MB/sec read speeds when using FireWire 800. Using eSATA, it blazes up to 195MB/sec. This drive is obviously for the high end video market priced at $2,199 for 500GB. This is a sign of things to come and it is good to see G-Technology taking the lead. For us mere mortals, they also have the perfect Time Machine Drive, the G-Safe. 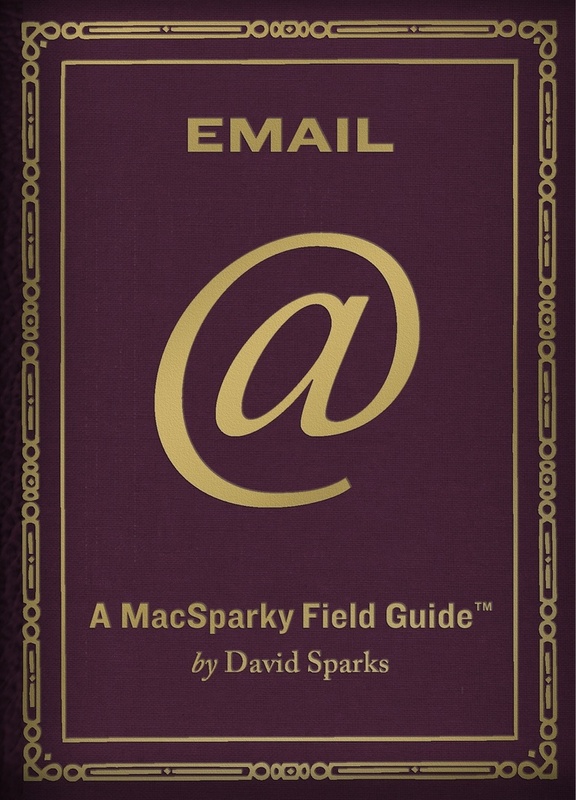 It simultaneously writes to two independent hard disk drives providing instant back up of your time machine as you save it. 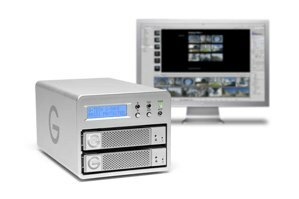 For instance, the G-Safe 500 GB includes two 500GB drives and automatically puts one copy of everything you save to it on each drive. I think the 500GB model, priced at $449, is perfect for an external time machine solution. 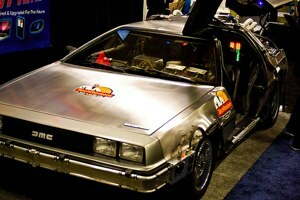 Great Mac repair and upgrades combined with the “Back to the Future” De Lorean (including the “Mr. Fusion” upgrade). How could you go wrong? Ocarina is the fantastic 99 cent iPhone musical instrument. The Smule booth featured a regular serenade of Ocarina music and other fun audio iPhone applications. Everytime I walked past it, people were listening. Also, during David Pogue’s Macworld Live, Ge Wang, one of the Smule developers played several songs on it along with David Pogue. It was incredible. I really need to learn how to play my Ocarina. Livescribe’s Pulse Smartpen is coming to the Mac. This is, essentially, a computer in a pen. 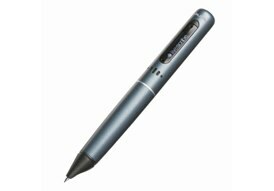 It records all pen strokes and recreates the pages on your screen. It also records audio while you are taking notes and indexes it to your notes. 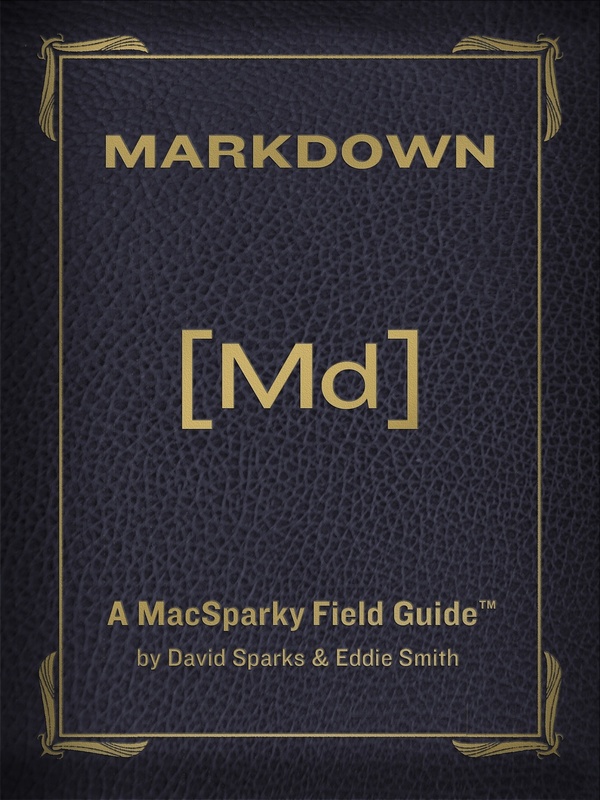 This is very slick for students and anyone who frequently takes notes. 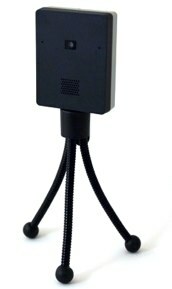 I recently reviewed the new Audioengine W2 wireless iPod/iPhone transmitter. It was the best iPod accessory in Macworld this year giving you a pain free wireless solution for playing your tunes directly from your pocket. 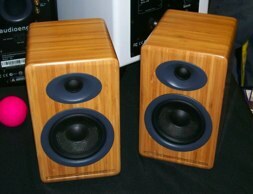 Audioengine also displayed a set of unpowered speakers using their same technologies for users providing their own amplification (pictured below). * New Keynote features and transitions - Chocolate covered goodness. Some of the new animation features will be immediately useful to me. * Creating Pages forms fillable with Numbers spreadsheets is probably useless to most but very helpful for me. * Additional functionality in iMovie - It is much better. 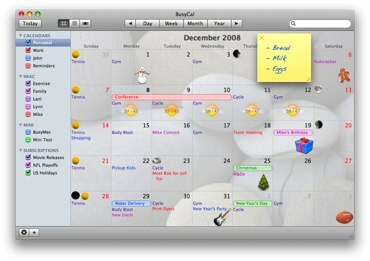 This should please those that were unhappy with the rewrite in iLife ‘08. The best in show award this year goes to the Macworld experience. There was nowhere else in the world this week that I could learn about some of my favorite Mac software and hardware, make new and lasting friendships, attend great parties where it IS cool to talk about Quicksilver, AND I got to dance with YouTube’s Matt. For this reasons, I’m naming the entire experience as this year’s best in show. I’ve been producing screencasts now for almost a year. While I cannot claim to have the superhuman skills of my friend Don McAllister, I do want them to look nice. Up until a few months ago I accomplished this through a byzantine series of steps in multiple applications that was both time intensive and spectacularly underwhelming in its result. Well this all changed a few months ago when ScreenFlow came on to the stage. ScreenFlow is the screencasting application for the rest of us. 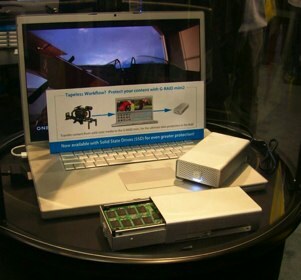 It gives you one application to capture video and audio and perform sophisticated editing. So let me break this down a bit. First there is the capture. By this I mean you turn it on and the little invisible camera over your shoulder starts taking pictures of the screen. At least that is how I think of it. ScreenFlow does a dandy job of capturing your various clicks, drags, and actions on your screen. It also will record audio from either your built in microphone or your own plug-in microphone. I use a Blue Snowball for this purpose and while it is not perfect, it does an acceptable job. You can also elect to record or ignore your system sounds and, if you are really brave, your iSight feed so people can look at your mug while you record your screencast. I tried this but ultimately decided, as the old line goes, I have a face for radio. You can capture multiple takes into one project so you can break larger projects into small bite-sized chunks. Now for most Screencasting applications, that is where the story ends. You then are required to submit those clips into iMovie or Final Cut for editing and processing. ScreenFlow, however, is different. This application includes its own editor. So once you have your screencapture completed you can arrange them in ScreenFlow’s handy editor. This editor reminds me of the old iMovie. It is timeline based but not quite so intimidating as Final Cut. Despite the simple interface, however, there are some powerful tools. Using ScreenFlow I can select portions of a clip and resize the screen, call out the front window and blur the background, zoom up and zoom down, and just about any other fancy trick within reason to make it easier on your viewer. I’ve done some of these effects in prior screencasts using Final Cut. In fact, you can do just about any screen effect with Final Cut and Motion. The trouble is, unless you are very proficient in those applications it will involve a lot of time and, most likely, a few tears. With ScreenFlow things are much easier. 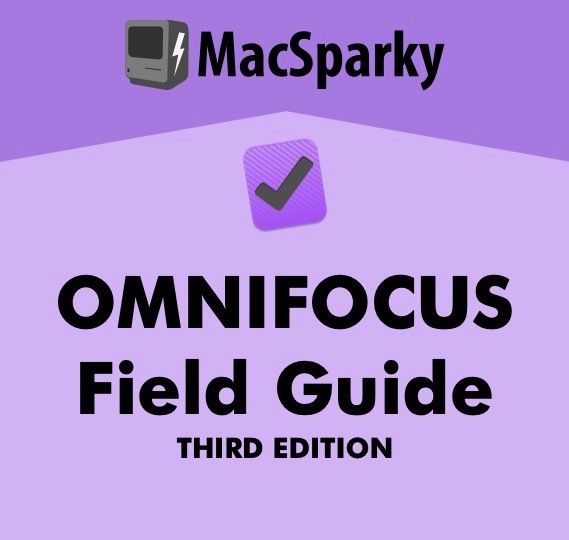 I still do some transition work and introductions and closings in Final Cut but with ScreenFlow, all the complicated stuff is already done for me. 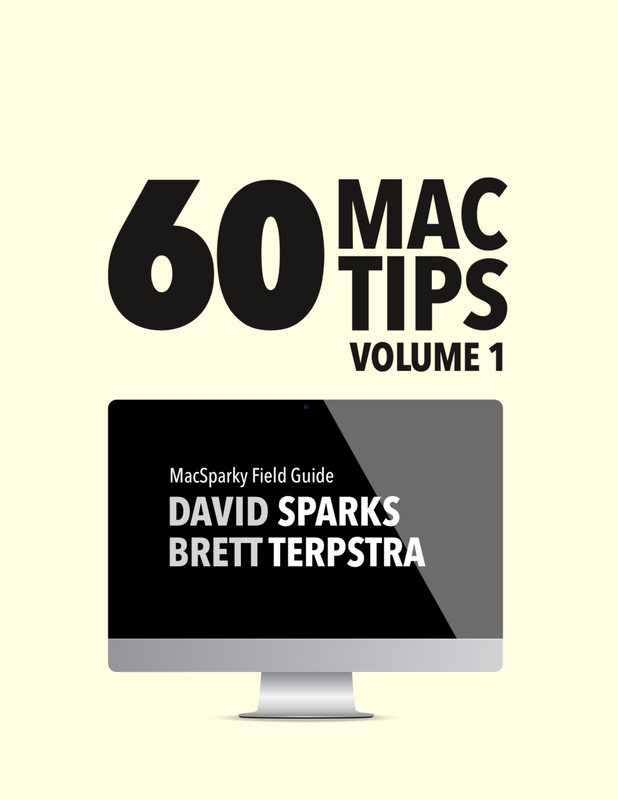 The list of features in the edit process is long but just to point out a few of my favorites I like the way you can spotlight the mouse with a circle the size of your own choosing and feather the edges. I also like the way you can easily resize the image and, if you are feeling really spunky, add a reflection. You can also have it automatically display key presses but I’m not a fan of the way it zooms your keypresses across the screen. I hope they add some more options in future releases turning down the dazzle and up the functionality of this feature. For the time being, I’m continuing to use a great freeware application called Keycastr to handle keyboard display duty. In addition to doing a fine job recording audio, ScreenFlow gives you some other audio tweaks such as the ability to add a keyclick sound. I can definitely see where this feature would be useful. The biggest improvement to ScreenFlow with the latest version 1.1 is the addition of presets for lossless video and AppleTV. They have made huge strides on the output side and, for me, transformed the application from merely interesting to essential. ScreenFlow is like chocolate cake with ice cream and frosting blended in. One big pile of sugary screencasting fun. For ScreenFlow’s competitors, the bar has been set high. I think we really are at the very beginning of mainstream screencasting. More and more people are making them. Not just to sell software but also to teach friends. 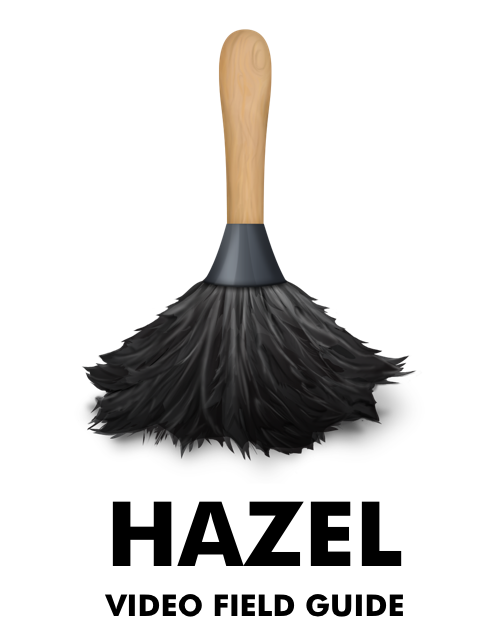 In addition to my MacSparky screencasts, I use screencasting in my day job to drop little helpful movies into presentations. This is interesting because the developers at Vara Software actually started ScreenFlow with the idea of being able to record keynote presentations for the internent. Using ScreenFlow my production time has gone down and quality has gone up. This comes at a price however. A license for ScreenFlow will set you back $99. At this price point you probably need more than a passing interest in screencasting to justify the purchase but when you consider what a license for Final Cut Studio or Express costs, this really isn’t that bad. 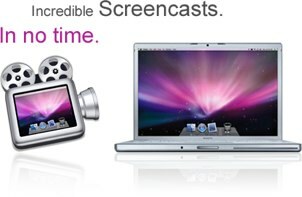 If you are serious about screencasting, you really should take a look.